The National Association of Tower Erectors (NATE) today applauded FCC Commissioner Michael O’Rielly for his common sense approach to the tower obstruction marking provisions currently confronting the communications tower industry. The broad-based tower marking requirements were part of the FAA Extension, Safety and Security Act of 2016 and mandate improved physical markings and/or lighting on towers ranging from 50’ – 200’ feet tall. 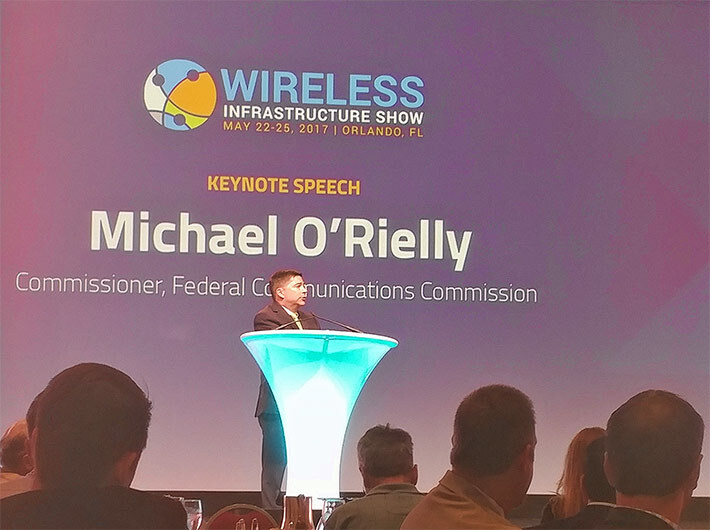 O’Rielly’s remarks came during a keynote appearance at the 2017 Wireless Infrastructure Show in Orlando, Fla. yesterday, available here. NATE is actively working on with a coalition of national wireless and broadcast industry organizations in order to seek practical improvements to section 2110 of the FAA Extension, Safety and Security Act of 2016. For more information on NATE, visit www.natehome.com.